Pharmacy technicians support licensed pharmacists by attending to the daily tasks in a pharmacy setting. 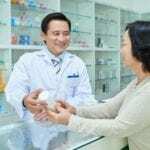 Pharmacy technician training programs cover all the essential skills students need to function as capable professionals in a pharmacy setting and become an indispensible member of the pharmacy team. Students gain a broad knowledge of the pharmacy practice and processes and learn techniques for ordering, stocking, and preparing medications. Graduates are able to respond to the rising need for health care professionals in the industry. 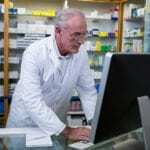 Today, the pharmacy technician role has expanded to relieve pharmacists of the mundane tasks. They perform many of the same duties as pharmacists. The expansion of the pharmacy technician’s role makes certification a requirement for many industry employers. The Pharmacy Technician certificate program at AIMS Education helps students develop the skills to become skilled technicians. The curriculum includes comprehensive classroom training as well as practical, hands-on experience. Instructors will cover drug classifications, pharmacy management, and drug administration in addition to other essential topics. Graduates are eligible to take the PTCE to earn the Certified Pharmacy Technician (CPhT) credential. The program comprises of 220 clock hours: 100 hours in the classroom and 120 hours in a clinical internship. Students enrolled in the daytime program can complete it in just 2 months. The evening program is 3 months and the weekend program is approximately 4 months. Applicants must have a high school diploma or GED. Tuition for the program is $3,525. The comprehensive pharmacy technician program at the Continuing Education Center prepares students for employment as a technician. Course topics include defining drugs by generic and trade names, dosage calculations, product recognition, side effects, route of administration, reading and interpreting prescriptions, pharmacy terminology and much more. Graduates will receive a certificate of completion that will grant eligibility to take the national certification exam. Evening and weekend schedules are available. The evening classes meet for 17 sessions. Weekend (Saturday) classes meet for 14 sessions. Applicants must have a high school diploma or GED equivalent and pass a criminal background check. Tuition for the program is $910 plus a registration fee of $75. A flexible payment plan is available. The Pharmacy Technician Online Certification Training Program at the School of Continuing Education gives students the skills they need to qualify for entry-level positions in a community or institutional pharmacy. Each student will be paired with an instructor for one-on-one assistance. After completing the didactic instruction online, students may qualify for a 40 to 100-hour externship. Program graduates are eligible to sit the PTCE. The registration for the exam is included in the cost of the program. Course topics include basic anatomy, pharmaceutical terminology, medical terminology, pharmaceutical calculations, pharmacology, and trade name and brand name medications. Through online simulations, students will receive hands-on practice in retail pharmacy procedures such as processing prescriptions. All students are expected to complete a Virtual Externship in addition to the actual 100-hour clinical externship. To qualify for the externship, students must pass a drug screen, complete a background check, meet the immunization standards, and obtain professional liability insurance. Students have up to 12 months to complete the program. Tuition for the program is $2,725. 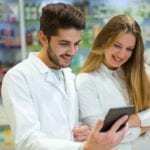 The pharmacy technician program at New Jersey Institute of Allied Health prepares students to assist pharmacists with the collection, organization, and evaluation of information for direct client care and use of medication. 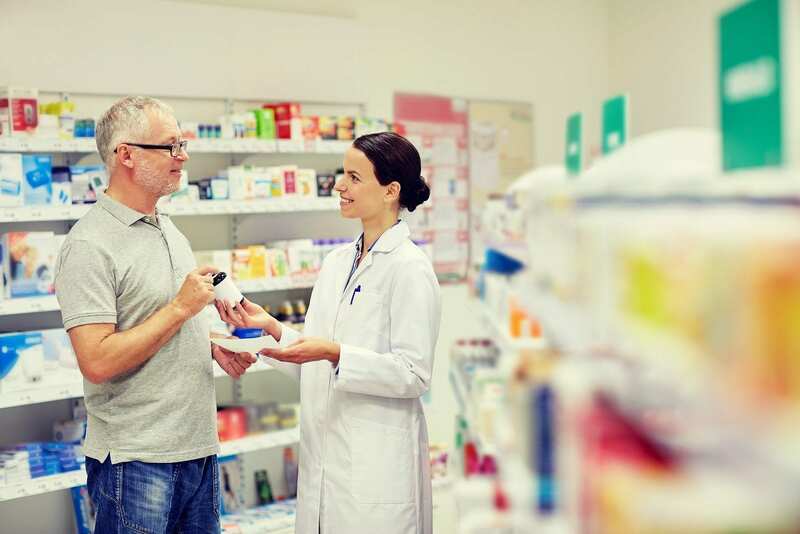 Students learn how to purchase pharmaceutical supplies and devices according to an established plan, receive and screen medications, and prepare medications for distribution. Personal standards, federal and local laws in practice, and communication are also covered in the program. Classes meet four days per week for five hours. The 36-week program will offer a total of 720 training hours. To register, interested persons must take a photo ID, birth certificate and social security card, high school diploma or GED certification, the initial payment, and proof of residence to the admissions officer. Students must be 17 years or older. The Pharmacy Technician program at Bright Horizon Institute introduces students to the role of the pharmacy technician. The curriculum covers laws and ethics, common medication, pharmaceutical standards, dosage calculations, pharmacy protocols, how to read prescriptions, generic and brand name drugs, and medications and their effects. Students also learn how to read prescription labels, proper tiling of drug orders, telephone etiquette, confidentiality regulations, HIPAA, and customer relations. Graduates can apply to take the PTCB exam and seek employment in a retail or institutional pharmacy or pharmaceutical company. The certificate program comprises of 300 clock hours of instruction covered in 15 weeks. Applicants must have a high school diploma or GED.